Wildlife Safaris are arranged at the National Parks and the wild life sanctuaries in the shape of Jeep Safaris, Elephant safaris, Camel safaris etc to see the wildlife very close as well as in its own habitat. You can contact the below mentioned address to arrange for the safaris. Corbett National Park has about 585 species of birds , 7 species of amphibians 33 species of reptiles, 7 speces of fishes and about 37 species of dragonflies. The Park has also endangered Bengal Tigers, lepopards and crocodiles and other wild life animals like sambas, hogs, otters, boars, elephants, sloths, gorals, pangolins and langurs which can be easily spotted here. 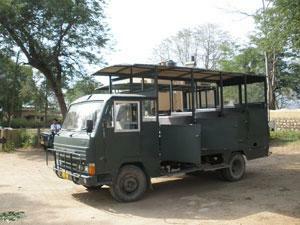 Wild life Safaris are being arranged for the visitors to go through the National Park. 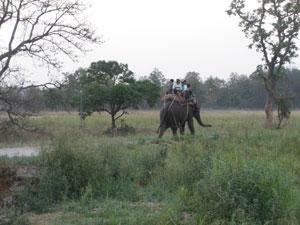 Wildlife safari timing in Corbett National Park is just like in the other National Parks in the country. Timings for entry and exit, vary according to the season. In winters, due to the shorter duration of daylight hours, the morning entry time is later than usual and evening exit time is earlier. It is a very good article about Wildlife Safaris in to jim Corbett National Park because you describe all about wildlife safari and the contact address with phone numbers and email address. The pictures are very attractive.